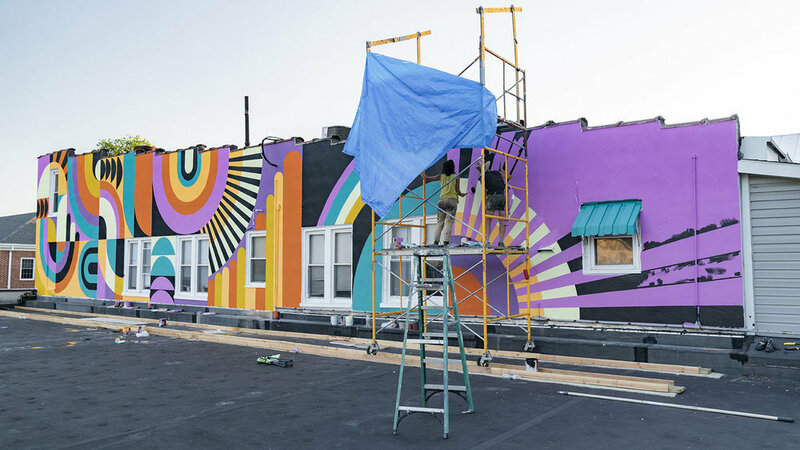 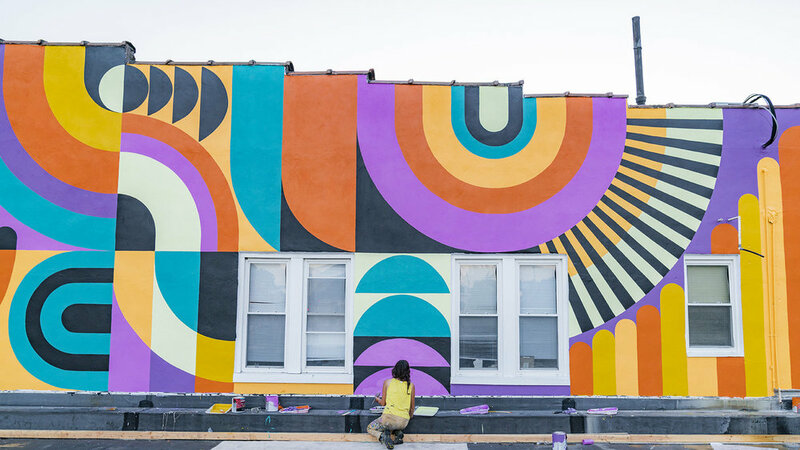 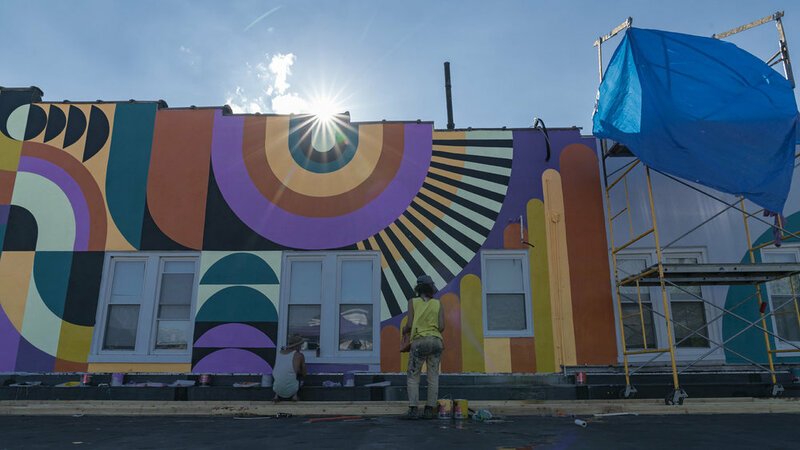 Rooftop Boogaloo by Jessie and Katey, 2018 at 183 E. King St.
Jessie Unterhalter and Katey Truhn are a Baltimore based artist team striving to transform public spaces into playful and vibrant experiences. 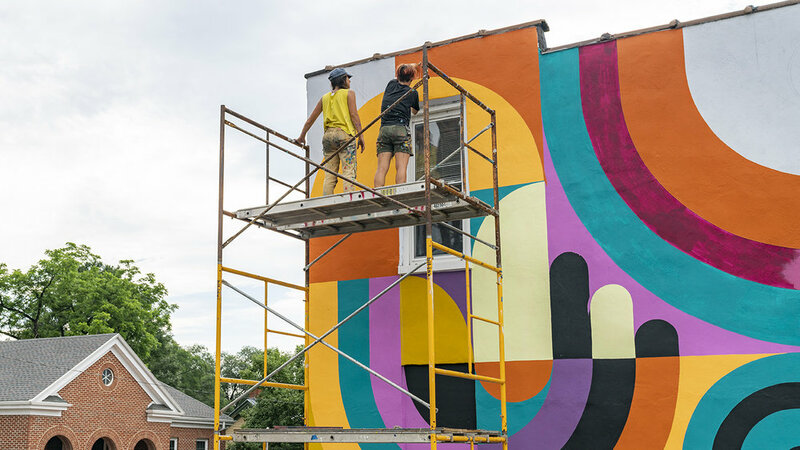 Since 2011, Jessie and Katey have been consistently creating large-scale, public murals. 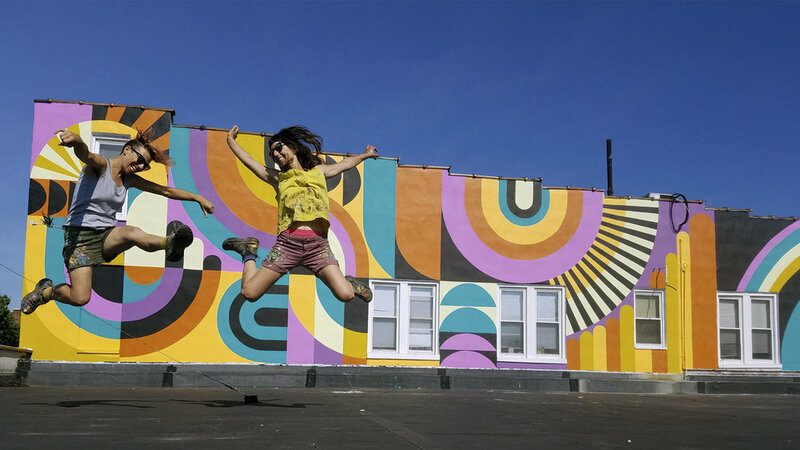 The all inclusive and socially engaging nature of creating art for the public is a driving force in their art making. 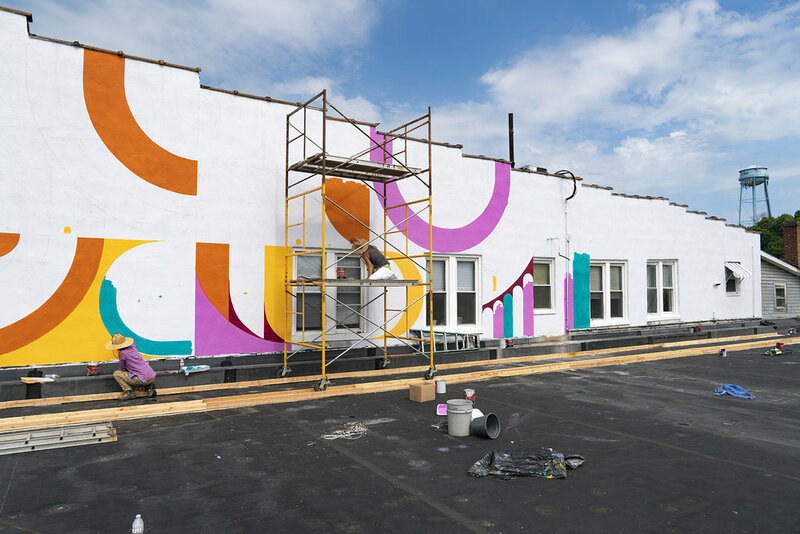 Inspired by the architectural surfaces of each environment. 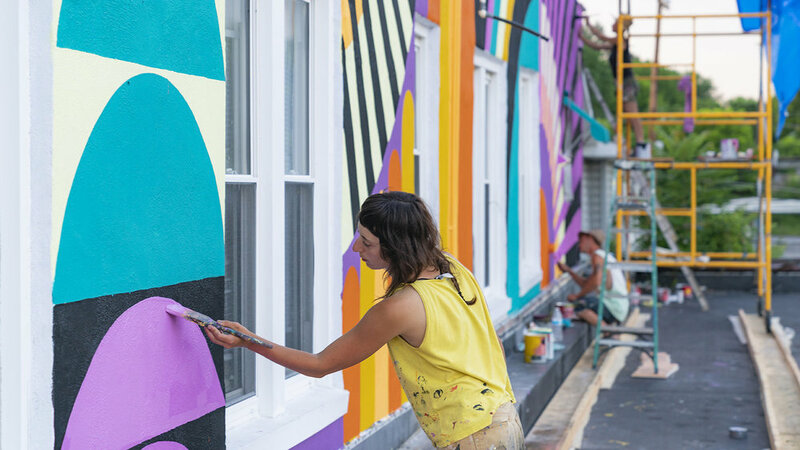 Their work explores themes of movement and symmetry, inspired by bold color combinations, patterns in nature, and woven textiles. 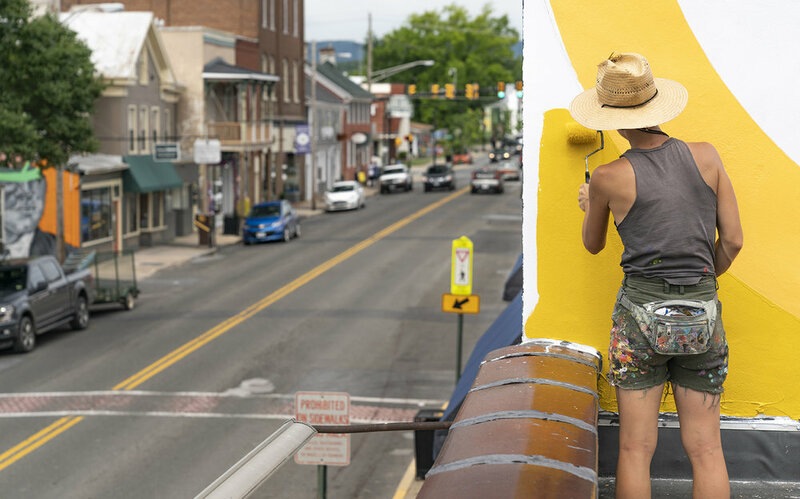 Rooftop Boogaloo draws from the colors and shapes of the surrounding landscapes of the Shenandoah Valley, transforming them into a bold composition, reflecting the vibrancy of the community and encouraging a sense of fun and play.